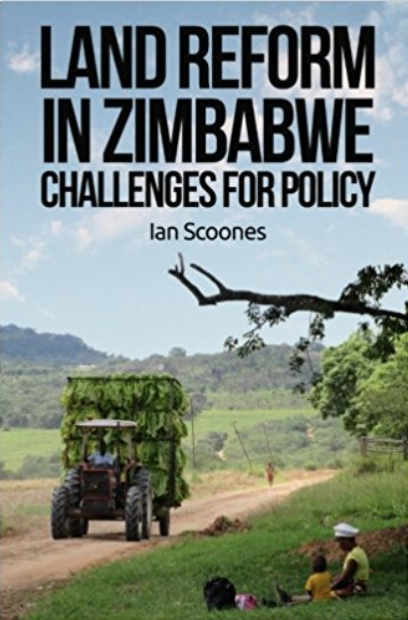 In a recent article in the Cape Times , prompted by Max du Preez’s review of Joe Hanlon and colleague’s book, Tony Hawkins (professor of economics at UZ) and Sholto Cross (research fellow at UEA) make the case that Zimbabwe’s land reform has been a disaster, and that a smallholder, ‘peasant’ farming is not a route to economic growth. The full-page article starts with a slightly bizarre critique of what has become to be known as ‘peasant studies’, a strand of academic work that has built over the years (it’s the 40th anniversary of the Journal of Peasant Studies this year – and you can read 40 of the ‘classics’ in a free virtual issue – just sign in, it’s quick and easy!) that examines the dynamics of change in agrarian societies. They pinpoint the work of Frank Ellis at UEA and those at Sussex, including myself – but probably more appropriately Michael Lipton – who have advocated a smallholder path to economic development. Such transformations are therefore long-term processes, and always highly context specific. In the developmental states of East Asia (and elsewhere, and earlier in Europe), the state has an important role to play: protecting people and new businesses, and so guiding and nurturing the transition through targeted incentives and subsidies. You cannot expect the existing arrangement to be appropriate to a new scenario, so it’s important to facilitate the change of the wider agro-industrial base. What we are seeing in Zimbabwe is not so much “deindustrialisation” but a fundamental restructuring. Supporting such a transformation is essential, and this requires investment – something starkly absent in Zimbabwe due to a bankrupt government, a lack of private finance and donors refusing engagement due to sanctions. This view is deeply problematic. A focus on the large-scale agricultural sector may produce some growth, although in the globally competitive markets of today it is unlikely to produce much, but will it produce jobs and livelihoods? Jobless growth creates social divisions, inequality and pressure on the state to provide social protection to the economically disenfranchised. Look at the ‘third world’ in Europe and you can see the challenges. Zimbabwe’s own history, from the liberation war to the events of 2000, should show anyone that a return to an economic structure dominated by a few, but excluding the majority is not a politically viable option, even if it made any economic sense (which is very doubtful). Hawkins and Cross seem blind to the opportunities of the new agrarian structure, rejecting these out of hand. Have they done any field research I wonder (I could not find any – only multiple ‘opinion’ articles from Hawkins)? Research from diverse sources has shown how across the new resettlements there are large numbers of new farmers ‘accumulating from below’ – generating surpluses, investing and accumulating. Not everyone, but enough to generate an economic dynamic that creates investment and employment. This has been done with vanishingly little external support. What more could be done if such support was larger and more effectively directed? Hawkins and Cross begrudgingly acknowledge the successes of some communal farmers in the 1980s, but this time the impact could be much wider, as there are more people involved, and they are geographically spread. In our book we argue for a form of local economic development that capitalises on this new agrarian dynamic, rooted in smallholder farming, but spinning out to new businesses and value chains. The new farmers are creating new local economies – currently small-scale, but with clear opportunities for generating further economic linkages. But of course an agricultural economy cannot be just small-scale. The new agrarian structure of Zimbabwe is ‘tri-modal’, with a majority being small-scale (in the communal, A1 and old resettlement areas), but there are also medium scale commercial farms (A2) and the large-scale estates. Each can seek out their comparative advantages, and specialise production and marketing appropriately. But the important point is that there are now much greater opportunities for interaction – through contract farming, sharecropping, labour and market exchanges, and so on. This sort of integrated approach across farm scales to agricultural and rural development can have many spin-offs, and appropriately banishes the old dualism – a separation between ‘peasant’ agriculture and ‘modern’ commercial agriculture with its stark racial and economic divides – firmly to the past. Well, are your data open to scrutiny? ABSOLUTELY. INDEED YOUR COMMENTS ESPECIALLY ON LAST WEEK’S POST HAVE BEEN MOST USEFUL. Your employment data were subject to correction after I took just a cursory glance [I STAND BY THE ORIGINAL ESTIMATES MADE IN OUR BOOK AND I HAVE NOT SEEN ANY BETTER ONES. HOWEVER ADDING RANGES DEFINITELY MAKES SENSE – THAT’S WHAT I AMMENDED FOLLOWING YOUR USEFUL COMMENT. THE POINT THOUGH IS THAT EVEN WITH THE UPPER LEVEL, THIS WAS OVER 80% BELOW THE MDC POLICY ESTIMATE. UNTIL WE GET SOME BETTER DATA COLLECTION, THEN IT WILL BE DIFFICULT TO MAKE PROPER ASSESSMENTS AT THIS SCALE. THIS IS WHY I HAVE ARGUED FOR MORE SUPPORT FOR ZIMSTATS), and you have failed to address some of my further queries regards these data (deleting my comments in preference) NOT SURE WHAT THIS REFERS TO. I POST COMMENTS AS LONG AS THEY ARE NOT ABUSIVE (WHICH UNFORTUNATELY QUITE A FEW ARE). YOU REQUESTED THE DATA SOURCE FOR THE LABOUR DATA I POSTED AS A COMMENT – BUT THIS WAS ALREADY NOTED AS CSO SO ASSUMED YOU WOULD FIND THAT). You extrapolate data from marginal areas (Masvingo province) to the whole country and openly admit that access to farms previously under large-scale cropping, such as tobacco, is ‘subject to permission from the new owners.’ NOT SURE I SAID THIS. BUT I HAVE ADDRESSED THE ‘MASVINGO EXCEPTIONALISM’ ISSUE. Objective research is therefore not possible regards productivity. NOT SURE THIS IS THE CASE, BUT IT MAY BE THAT NATIONAL LEVEL FIGURES NEED A GREATER DOSE OF CAUTION. I CERTAINLY STAND BY OUR LOCAL LEVEL FIGURES. You say that history ‘should show anyone that a return to an economic structure dominated by a few, but excluding the majority is not a politically viable option’ but fail to comment on the skewed distribution of wealth in present-day Zimbabwe toward a politically connected elite (THIS IS DEFINITELY PART OF THE CURRENT PROBLEM, AS IT WAS BEFORE). I think you should put Hawkins and Cross’s article on your website and let people read it and let them make up their own minds. These two are very experienced in agricultural economics. Have you read the Development Bank’s report yet? I assume you are talking of this AFD/DBSA report. As the authors acknowledge, the data available was limited, and only available up to 2010 – just a year after the currency stabilisation. Many of the tables only present data to 2007, at the peak of the economic crisis. The report therefore does not cover the more recent period,and the associated economic recovery. A better source is the World Bank report, but I am not sure there is a publicly available version. I will try and find a link and share. They argue later for a three-pronged approach – governance/policy reforms, sectoral value chains and territorial development. In other words, the main thrust of our argument – and definitely not that of Hawkins and Cross. living in dire circumstances in South Africa. The Hawkins and Cross article is linked to in the blog. However, it is on the Cape Times website, and has some copyright protection. Your article takes me back 20 years when I wrote a paper in one of my MSc Economics classes suggesting that the quickest way to growth for Zimbabwe was thru Land Reform and away from ESAP, the reigning economic ideology of that era. 3) The escalator effect from the more successful farmers as their new capital leads them to invest in higher level industries, expanding business ownership. Many fail to take account of the fact that the only way open to Zimbabwe to achieve food security and economic development in the rural areas is through agriculture under the current set-up, i.e. that is small holders in communal areas and A1 in the fast track areas without irrigation and mechanisation. Commercial farming on the previous scale is no longer an option. In the correction of the historical imbalance most of the commercial farms are now A1. Therefore the small scale solution has to be developed for the benefit of the country and the people who have small-scale farming as their only source of income. This is where things are and things have to move on to development under this set-up. Comparisons to the past or comparisons with food production under large scale models versus small scale models, are not comparing apples with apples so are largely irrelevant. What is needed is to to maximise small scale production as much as possible,i.e. make it small scale commercial as much as possible. It actually doesn’t matter if it is less than commercial because we are not comparing apples with apples. A2 should be able to produce massively on a standard commercial model with irrigation, mechanisation and double cropping per year. Also, it is good to focus on the personal side of the small holders. It is true that a country desires from agriculture a good proportion of gdp and gdp growth when it is under achieving in agriculture. But in a rural area this means hunger or suffering in some areas of life. The small holders represent a large part of the population(any stats on that – communal and A1) who are in personal need of development for the benefit of their own families, irrespective of national economic development. Yes, that will then benefit the country but it must be looking at the family in the small holder settlement first. He needs food on the table, money for school fees etc. It should be thought of as trickle down economics from the bottom up – if that makes sense. I think this is point 3 by Batani in another comment. The land that is more productive will first benefit him then his area and then benefit the country. It is agreed that the two can go hand in hand but even if it did not contribute much to GDP then he would still need to benefit for himself. I think this, Zimbabweland, to be a very perceptive and positive blog, with well thought out and articulated views on a way forward for rural Zimbabwe. How it can be achieved is the elephant in the room. There is a sad history of failed projects, both run by ngo’s on a large scale and individuals on a small scale, which should have been more successful. Not to mention the failure of government projects. One size fits all does not work or one solution fits all does not work. People are not all the same. Some take it on but others abandon it. The social problems have to be integrated into any solution and taken account of. The identification of dynamic, entrepenurial small holders who can operate on a small holder commercial level and their assistance to greater things, seems to be the place to start. They are there already. Every rural area already has them. They are the breadbasket of the communities in region 4. A man, in region 4, in a drought year, from six acres in a fast track A1 plot, is shelling and has so far 240 buckets with probably the same still to be shelled. I think this is like Batani point 1. They are the ones with a proven skills base already. Then there are those who dont get as much as him but get by. Then there are those in houses that have fallen down but with potential to get up. Then there are some that can never get up. It is just not possible and with some it cannot be expected. Then there are the old, the gogos with five small orphans at the house. They can never be expected to achieve food security. It has to be treated as social welfare. Obviously the weighting of the blog is towards fast track reform areas and not communal areas. The solutions would equally apply in the latter but would be more difficult to implement. It would seem that communal food productivity is more of a problem than fast track food production. At least that is what I have observed. Strange when I was in Zimbabwe in September, I observed that all the food in the stores came from South Africa, including the mealie meal. And I drove over 600 km and the land was barren with no production, while 14 years ago this land was under production. September is the peak of the dry season, so you wouln’t expect any crops growing in the rainfed areas. Mealie meal is certainly imported each year, but much local marketing of production also occurs. It rather depends which shops you go to.